Order within the next... 4 hours, 18 minutes, 42 seconds ...for dispatch today! 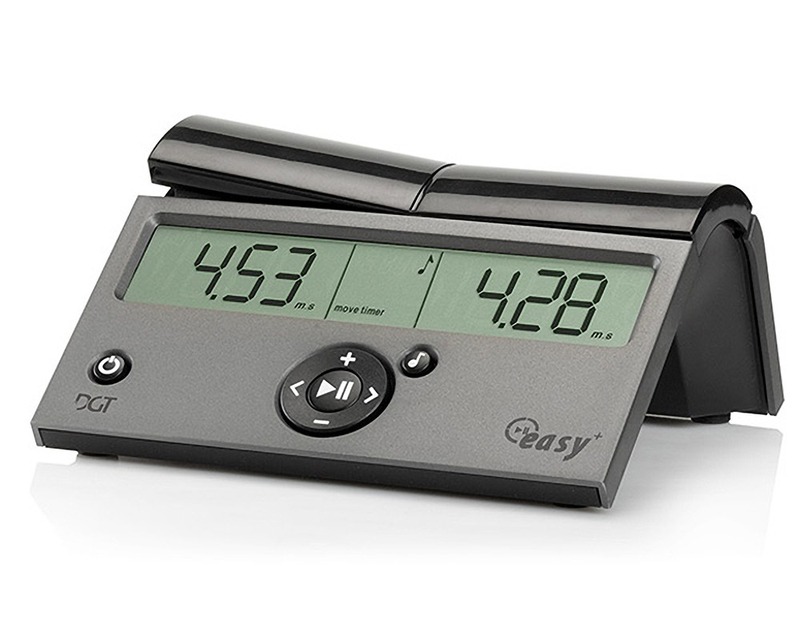 The DGT Easy Plus combines high quality with absolute simplicity and a sturdy and elegant design. Easy to program and easy to use, it features handy front buttons, game timer count-up option, simple one-touch reset, large and clear display, low battery indicator, optional buzzer. Individual time settings possible for each player. The Easy Plus comes in a nice gift box. Sharp pricing competes with analogue clocks. Requires 2 AA Batteries (not included). Please also note. The current stock of the DGT Easy + chess clock does not carry Kramniks branding or endorsement. The clock is exactly the same as previous Kranmick branded ones. "Product arrived the following day in perfect condition." "Great product. Great and prompt service as always." "This timer has all the required features." "Smart and hardwearing clock for a modest price from Regency Chess. Thank you."